Urbanization presents major challenges: congestion, sprawl, inefficiency, health hazards and high cost of living, just to name a few. But the choices we make for our cities can transform these challenges into opportunities: mobility, connectivity, economies of scale, healthier lifestyles and economic opportunity. Investments in the building sector are less risky and create better returns when directed toward energy-efficient buildings. Globally, buildings and construction are responsible for 60 percent of electricity use, 12 percent of water use, 40 percent of waste, and 40 percent of material resource use. In cities, buildings occupy 50 percent or more of the land area. 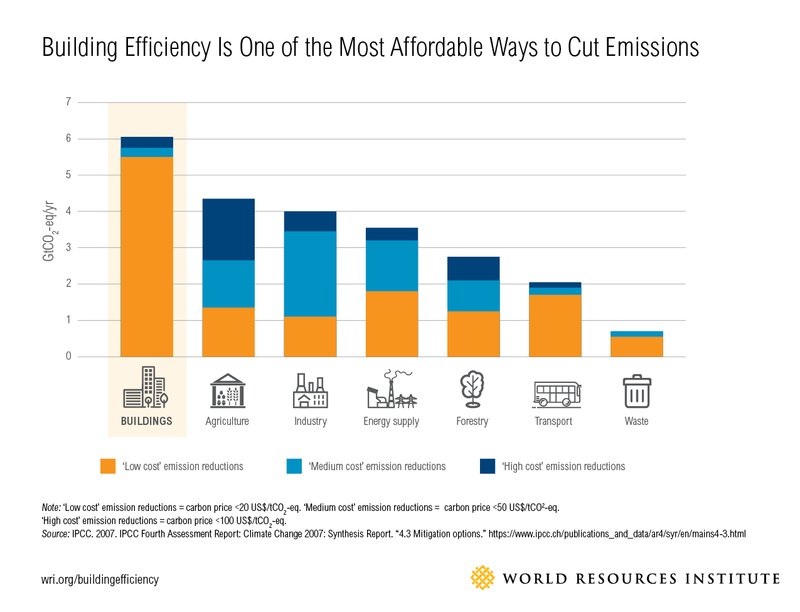 Each of these is a cost, but each efficiency improvement in energy and resource use removes a cost that the city and its residents no longer have to pay. 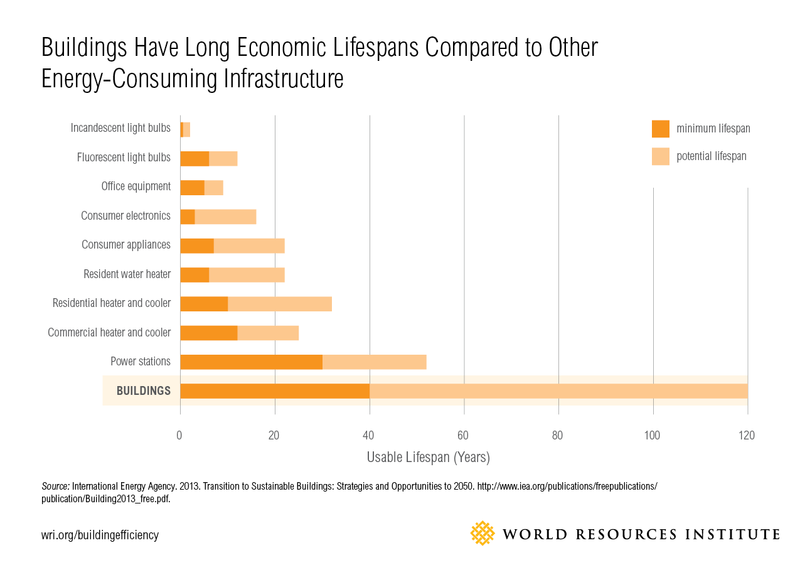 For example, each additional $1 invested on energy efficiency avoids more than $2 on energy supply spending. Efficiency savings free up money for other investments, stretching scarce resources. .
With cities expected to add 3 billion people between 2008 and 2050, almost doubling the global urban population, the world is poised for a building explosion. In fact, an area equal to roughly 60 percent of the world’s current total building stock will be built or rebuilt in urban areas by 2030, mostly in developing or emerging countries such as China, India and Indonesia. Without changes in construction practice, related emissions are also expected to skyrocket. 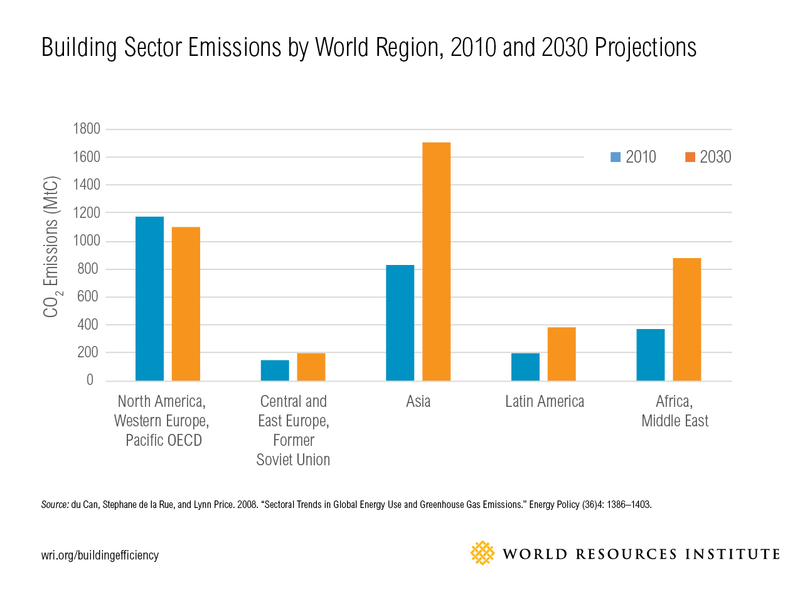 Projections for building sector emissions, by region. 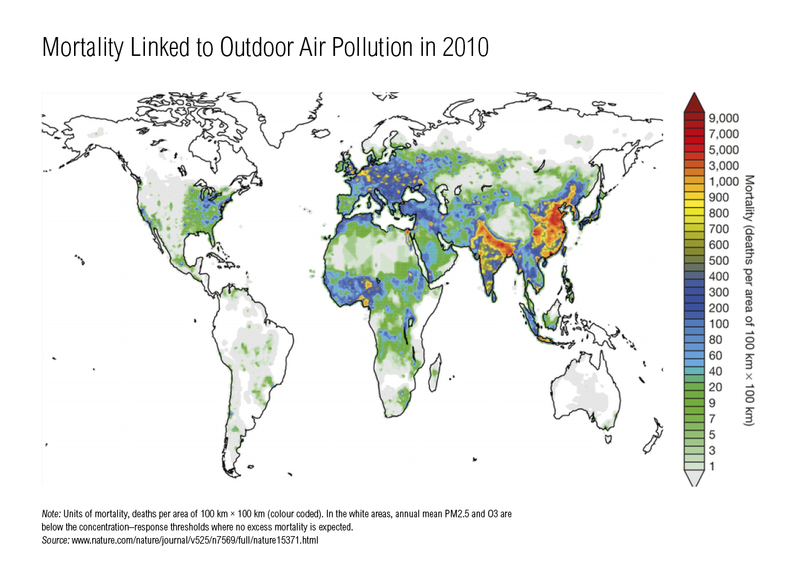 Every year, approximately 3.3 million deaths are caused by energy-related outdoor air pollution—such as smog from coal-fired power plants—and 3.5 million deaths are due to indoor smoke. The highest rates of exposure are in developing cities, where people are dependent on indoor fuel combustion for heating and cooking. 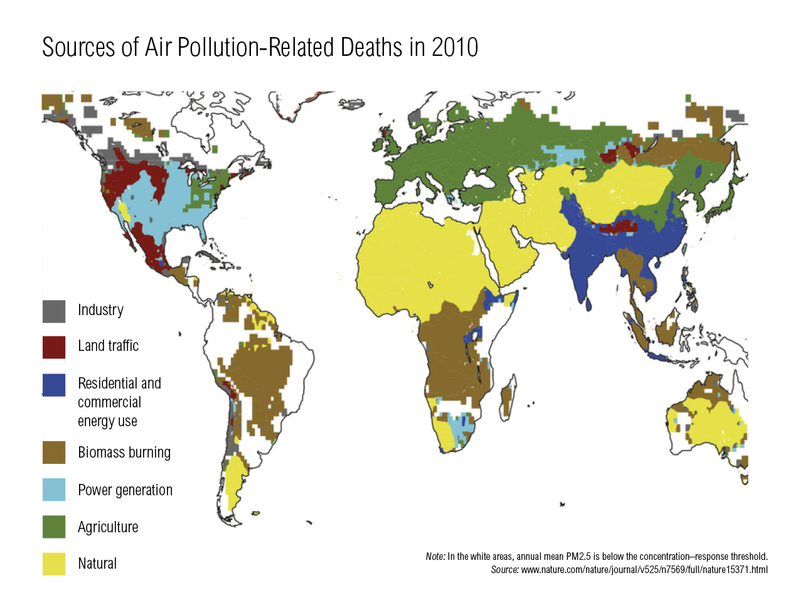 In China and India, the regions with the highest air pollution-related mortality rates, the largest contributors to these deaths are residential and commercial energy use—buildings are at the heart of the problem. Energy-efficient buildings reduce indoor air pollution because they offer cleaner combustion and better ventilation than traditional buildings. And because they use less energy, they also curb outdoor pollution by reducing the fossil fuel pollution created by power generation. 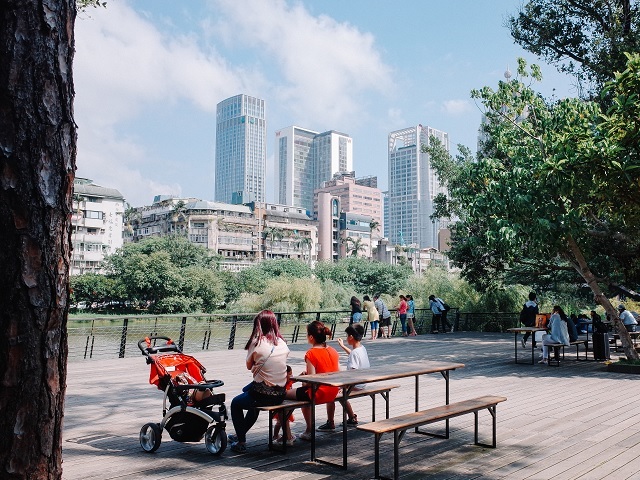 Reduction in indoor and outdoor air pollutants can decrease incidence of illnesses such as asthma and lung cancer, as well as lower the rate of premature deaths. This saves not only lives, but also the financial and social costs of medical treatment and lost productivity.